Still waiting for a full video to surface, but here’s a clip of the MM - X Japan rendition of Sweet Dreams. He does sound many shades of amazing here. Look at that almost utter lack of voice fracturing going on, pitch, and the use of vibrato (and more of it in other bits of footage). That rather lovely squashed down 'seven seas.' Would like to hear the rest for the vocal performance. Admittedly, he is out singing the piano by twenty to one on the chorus, but hey. That is Manson against a piano I guess, and perhaps an element of the recording distorting the mix. 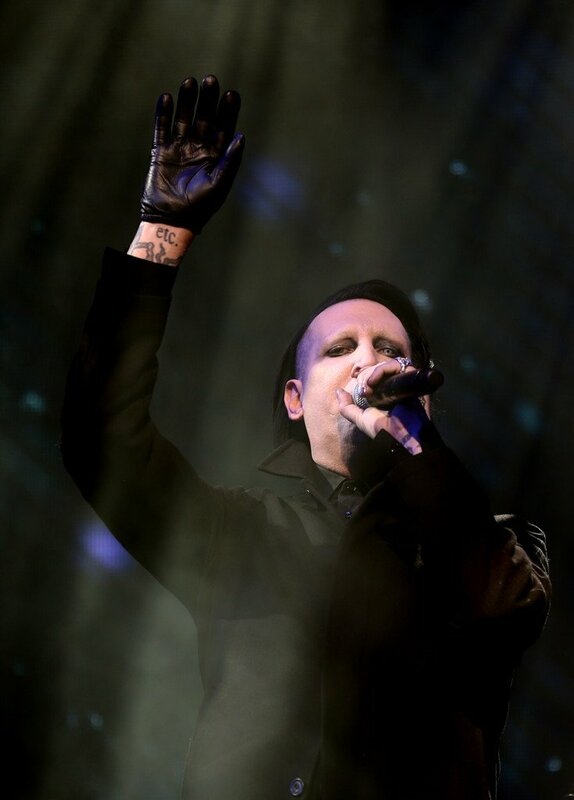 Personally it is not a song I would go for a piano rendition with (and definitely not with Manson on the vocals) as it is all to easy to end up 'pretty' with the keyboards and that sort of doesn't match the content well. But 'pretty' is always an issue I always had with a lot of X-Japan keyboards, so nothing new there and mostly about personal taste. The lights look gorgeous, and X-Japan seem to have put on a rather spectacular set for the rest of the evening. Last edited by Mephisto; 04-22-2018 at 07:45 AM. Love the piano arrangement so much. I loved Yoshiki kept to Manson’s version, but those classical flavors are so chamber goth. Piano versions of the guitar solos sound dope too. Hope they work together some more. I really really loved it. Such a great treat!